A final composite filling will be placed to cover the opening on top of the tooth. 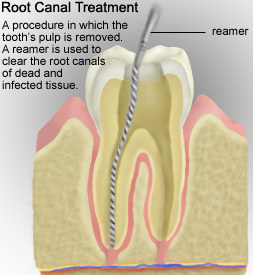 In addition, all back teeth that have root canal treatment should have a crown (cap) placed. This will protect the tooth and prevent it from breaking, and restore it to its full function.